After a summer of fruity cocktails and unaged spirits, autumn comes as a lead-in to a winter of rich and heavy brown drinks. To bridge the gap between the light and the dark, we’re going to spend the next week or so looking at the classic autumnal spirit – Brandy. To start with, Armagnac. Of the more mainstream spirits that we have on the shelf here at TWE, Armagnac is the one that I’ve always wanted to know more about. Luckily I’m not the only person who knows this, and had the chance to go and learn more about the spirit from Marc Darroze of Darroze Armagnac. Marc’s dad, Francis, started the business in 1974 as a négociant, buying and selling Armagnacs. 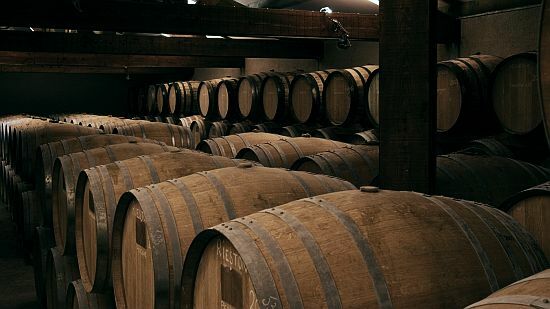 Over the years, the company has grown and it now bottles a large range of eaux-de-vie, specialising in those from Bas-Armagnac, the best known of the three regions that make up Armagnac. While they started as négociants, the Darroze family are now much more involved in Armagnac production than they used to be. They still buy casks of matured and maturing Armagnac from the various estates in the region, but they also work closely with the producers and a local mobile distiller – he has a still on wheels that he drives around to the estates that don’t have their own – to make sure that the spirit they buy fits their specifications, from fermentation to distillation to bottle. 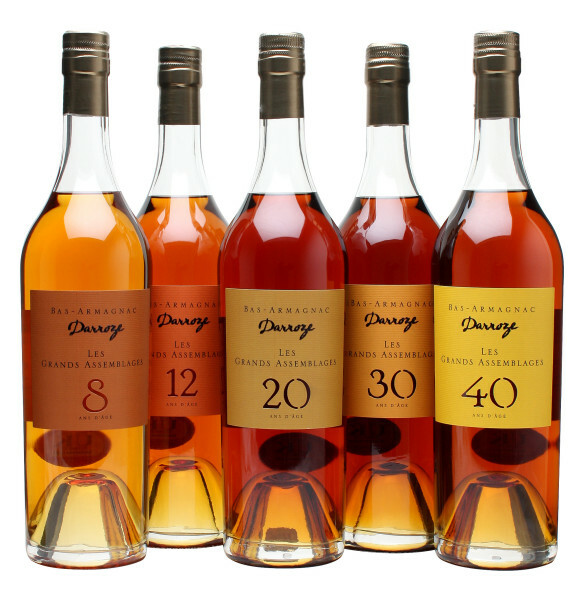 The way that Darroze sell their vintage Armagnac is also quite different to others – they bottle to order. This means that every bottling run is of spirit at a slightly different age to the previous, potentially with a change in strength as well as flavour. To make sure everyone knows what they’re getting Darroze list this information on every label, meaning that every time you buy a bottle it may be a little bit different. This can cause issues when exporting to countries like the USA, where labels need to be approved by the authorities before a release can be sold and it makes it difficult for customers who like a bottle that they buy, as it’s often impossible to find the same thing again. 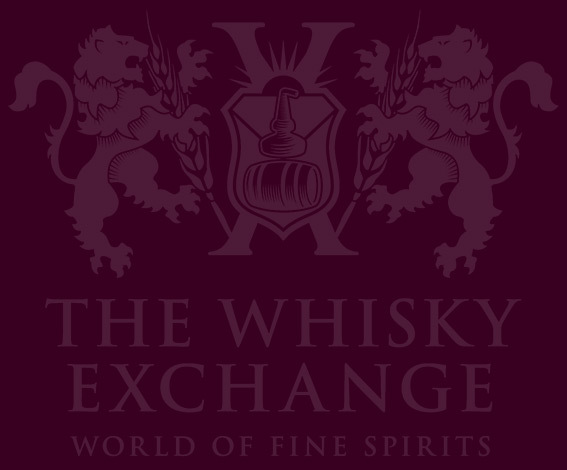 To help this, a few years ago they created a range called Les Grands Assemblages – a selection of ongoing bottlings, blended using spirit from various estates, each with an age statement. Darroze have produced a few blended Armagnacs over the years, but only in small quantities, leaving them to focus on their usual single-cask bottlings. However, they have now embraced the world of blends, making things easier for everyone from importers to shops to buyers. The opening salvo in the range is the 8 Year Old. This is as young as Marc will bottle Armagnac –the sharpness of a younger spirit has been removed, but it’s still deliberately fresh and youthful. Nose: Toffee apples and vanilla, with a sharp edge of lemon underneath. This has a dose of feisty youthfulness, but there are also some richer notes of sultana and fruitcake hiding behind the zestiness. Palate: Rounded and soft, with spiced fudge, citrus zest and vanilla cream. Clove notes develop, but don’t overpower things. Finish: Perfumed and fragrant, with floral notes and sweet cream. 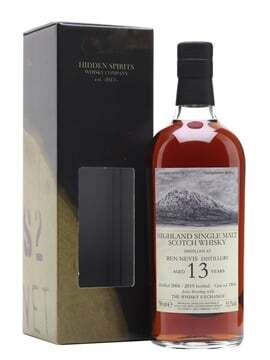 Next up is the 12 Year Old, a mix of spirit from seven of the 35 estates that Darroze deal with. Nose: Rich and fruity but with a light and fresh character balanced on top. Spiced light fruit cake and plump raisins are joined by a hint of young spirit and soft citrus. 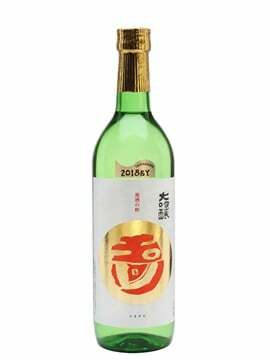 Palate: Dry and fragrant, with floral notes and burnt sugar around the edges. Finish: Sharp grapes and tingling spice. Nose: Elegant, with dried papaya sweetness, fruity toffee, wax polish, freshly cut leather, marzipan hints and blanched almonds. Palate: Big and fruity to start – sweet apples, both stewed and freshly sliced, sultanas and raisin. Gentle spice sits behind that, with floral hints, wax polish and some dark chocolate. Finish: Lots of dry spices – ground ginger, cinnamon, nutmeg, mace – almost garam-masala-like. Fruitiness appears and lingers. Next is the 30 Year Old, a blend mainly using Baco grapes, a local variety that Marc really likes. Nose: Heavier fruit than in the 12, a hint of farmyard, newish leather, cherries and a touch of milk chocolate. 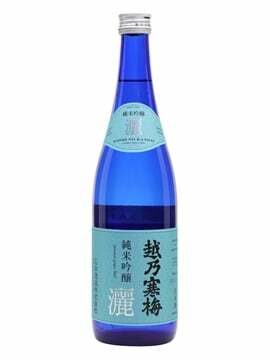 Palate: Very delicate, balancing sour fruit with dark caramel and soft spices. Finish: Smoky fruit, grape skin and spicy dark wood. At the top end of the range, other than the rarely seen 60 Year Old, is a 50 Year Old. That’s impressively old for an aged spirit, with few other categories getting close while still being affordable. Nose: Sweet, floral and delicate on first sniff – meadow flowers and sweet grapes – with richer notes of demerara sugar, stewed raisins and rich earth behind. 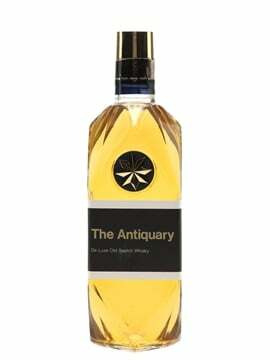 Palate: Initially soft, with autumn leaves and touches of nutmeg, quickly becoming dark and rich. Dried fruit, leather, and growing notes of bitter barrel char and green leaf balance the sweetness. Finish: More delicate and less weighty than some old Armagnacs, with a complexity that demands careful examination. A wide range of flavours and ages without breaking the bank – what other 50-year-old spirits can you pick up for under £250? We even have a selection pack to help you on your way. 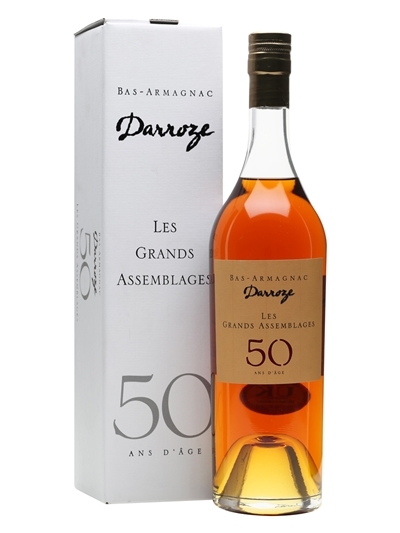 Les Grands Assemblages are a great place to start from when exploring Armagnac, showing the characteristics of the spirit at different levels of maturity, and are the perfect springboard into Darroze’s range of incredible single casks.